Hey loves! Isn’t it about time you make your very own unique watch? If you don’t want to look like everyone else, why not personalize it? 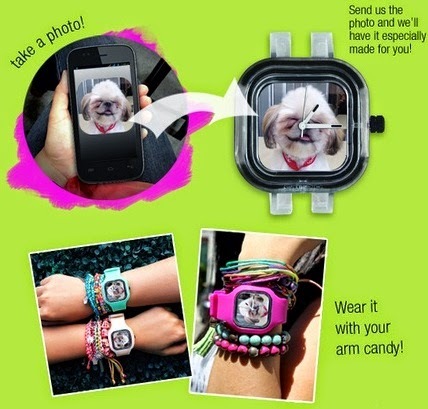 Show up stylish and on time to any event with an awesome looking Swap DIY watch from Tomato! Well guess what? I already made my own stylish piece of wrist candy and it made me a very happy Swapper! It's been 2 weeks since the SWAP Your Lifestyle private preview event and I still can't get over all the fun I had, so here's a recap! 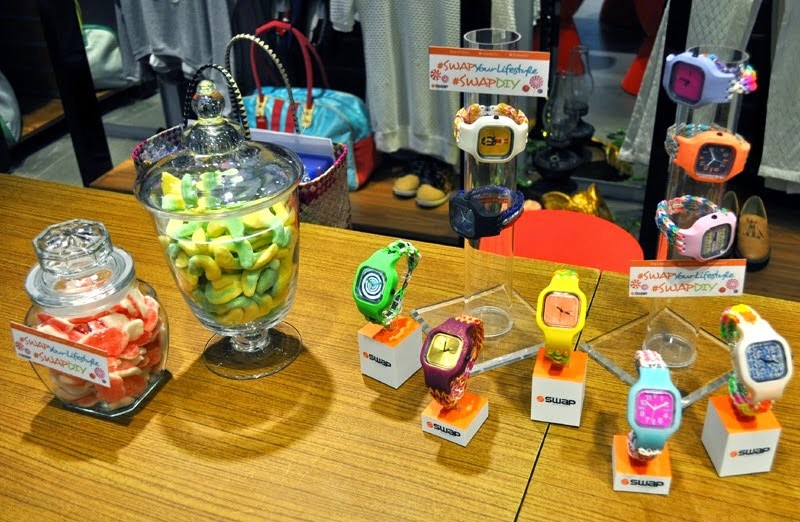 Tomato introduced SWAP DIY and SWAP Loom last August 7, 2014 in Tomato Glorietta flagship store. 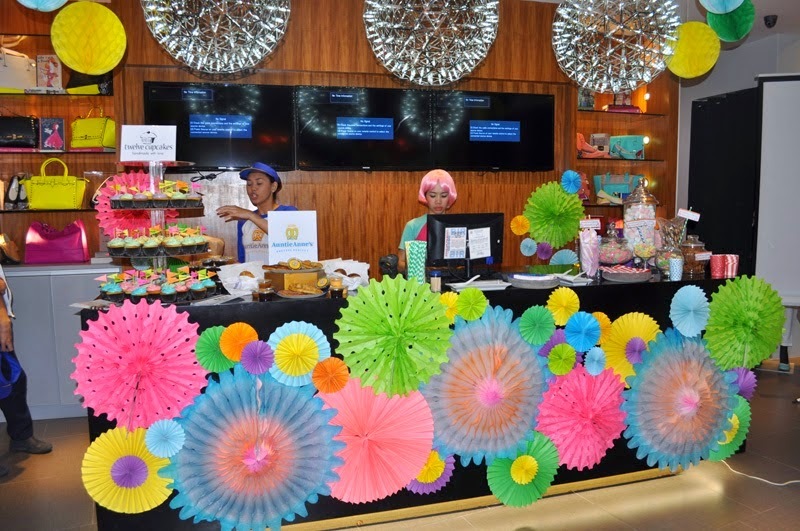 Themed as "Candy Land" bursting with pastel colors through the different paper fans and decors, guests had loads of fun in making their own Swap DIY watch while enjoying yummy treats like colorful cupcakes, heavenly pretzels and sinfully delicious Japanese donuts from the dessert slash candy buffet. With one of my favorite actors, Luis Alandy. 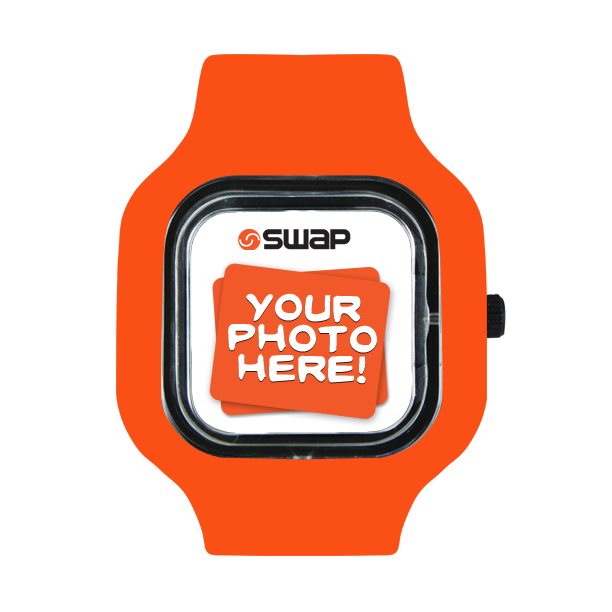 Swap DIY allows you to have your own customized clock face whether it's an artwork you made, personal design or your photo turned in to a cool Swap Watch. Even seasoned DIY-ers will learn new things to fine-tune their skills at mixing, matching and customizing. After all, DIY projects are the most fun! First, you’re going to need a photo taken from your phone (hello selfie addicts!) then send it to them. Second option is to choose one of the pre-designed faces for your clock face and then choose any color of strap that you like! It has 1 year warranty on Japan mechanism and battery. It's not water resistant. For only P1,000, you'll have your personalized Swap DIY face already. The strap is sold separately for P350. 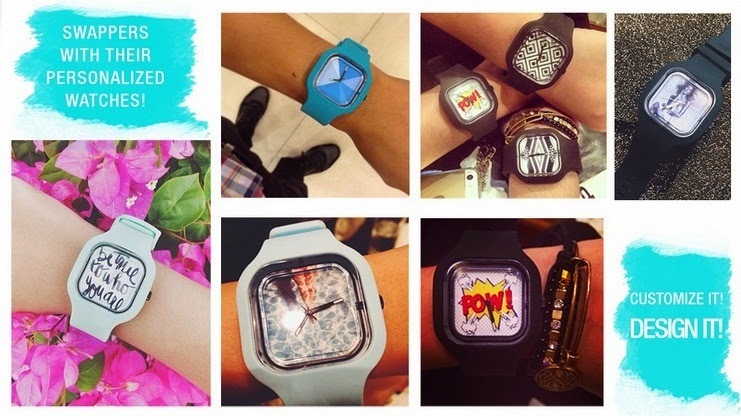 If you don't have the time to personalize it, you can always get ready made, interchangeable watches for only P1300 then simply mix and match your face and strap with different colors and designs! The possibilities are enedless because they have a lot of faces and straps to choose from. 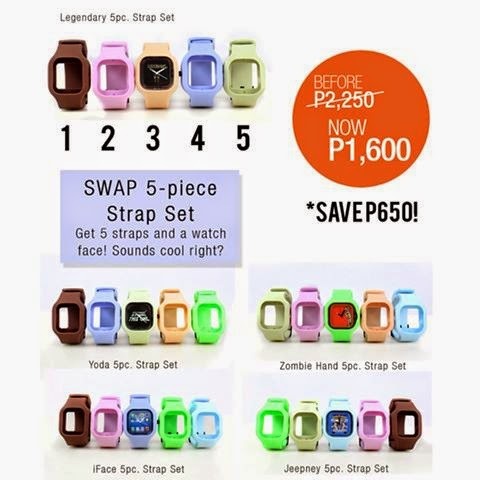 You can also get the new Swap 5-piece strap for only P1600 and save P650! Isn't that a great deal or what?! And to make it even more personalized, you can simply LOOM it! Tomato also introduced their recently launched product - the Swap Loom! You can create your own rainbow loom watch with their specially designed straps, ready for looming. How cool is that?! And to quote my daughter's favorite cartoon character, Rainbow Dash, Tomato makes it 20% cooler with a contest you'll surely love: SWAP LOOM DIY INSTAGRAM CONTEST! 2) Create your own loom pattern! Be sure to pick out the best color combinations that suits your personality, too. 3) Once done, take a really creative shot of your Loom watch - style it/wear however you want/take an OOTD with it! They will be drawing TWO (2) winners by the end of the month (Aug. 31). 1 will be the most creative entry (loom pattern, chosen color combination and styling of photo) and the other will be the most liked photo! So you gotta tag your friends as well and tell 'em to like your entry for your chance of winning! Both drawn winners will each take home P2,000 worth of Electronic Gift Certs, from Tomato! So come on Swappers, time to let that creativity out and join this loom-tastic contest! Seriously though, this DIY watch is a great way to update old boring watches in a way that perfectly combines fashion and function. Whether you’re into doing DIYs, love making loombands, or you're looking for any excuse to try something new and fun, Tomato got a Swap watch for you. Also, selected pre-designed Swap DIY watch faces are 50% off at www.swapwatches.ph and are now available in selected Tomato Time kiosks. Sale ends on Aug. 31! And while you're at it, do check out the fabulous clothes and accessories at the Tomato Online Store. Just ordered a few days ago and as usual, Tomato delivers... and fast! Visit www.tomato.ph to check out the hottest trends and freshest fashion finds! Check out my latest outfit post wearing a lovely blushing bloom romper in pink and accessories from Tomato. Which one would you like to try? SWAP DIY or SWAP LOOM? Leave me a comment below and let me know. I'm giving away a pre-designed clock face and Swap strap to the lucky commenter. 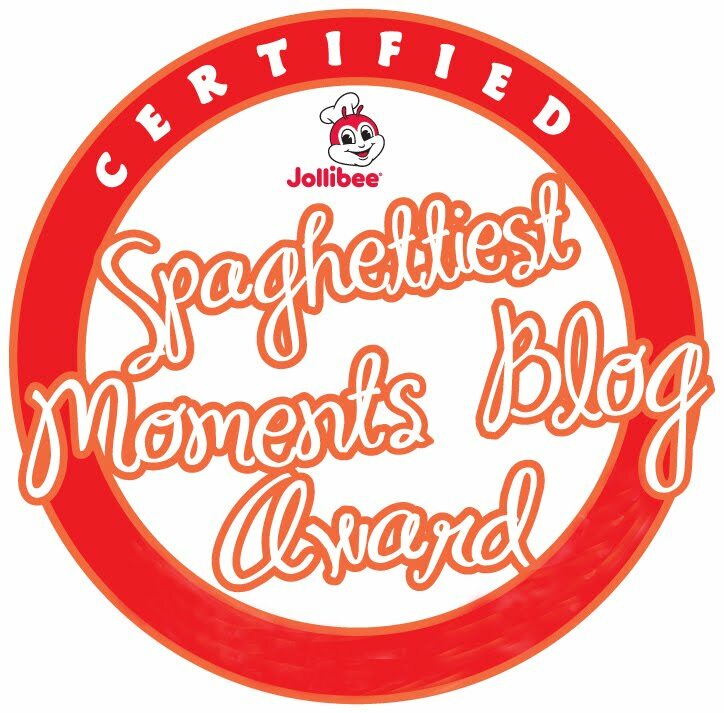 Winner will be announced on September 30. I like to try SWAP DIY because I prefer simple things.. I want to try the swap DIY so I can wear my fave cartoon character all the time! I can also swap the strap to coordinate with my outfit! Cool. I want to try SWAP DIY! I want to try SWAP DIY! 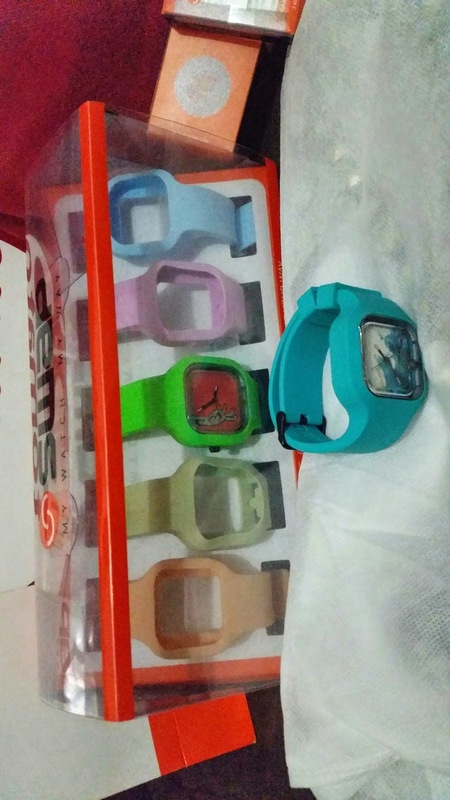 hoping to win..
i prepare SWAP DIY because i want to have a watch on my own design. Want to have even a pair only! SWAP DIY for me here! SWAP DIY for me because I'd love to have my own design or art printed on this very beautiful and unique timepiece. I want to try the SWAP DIY.. I find it more creative and personalized. I choose Swap DIY so I can feature a photo and personalize it. I prefer SWAP DIY because I can mix, match, and customize. 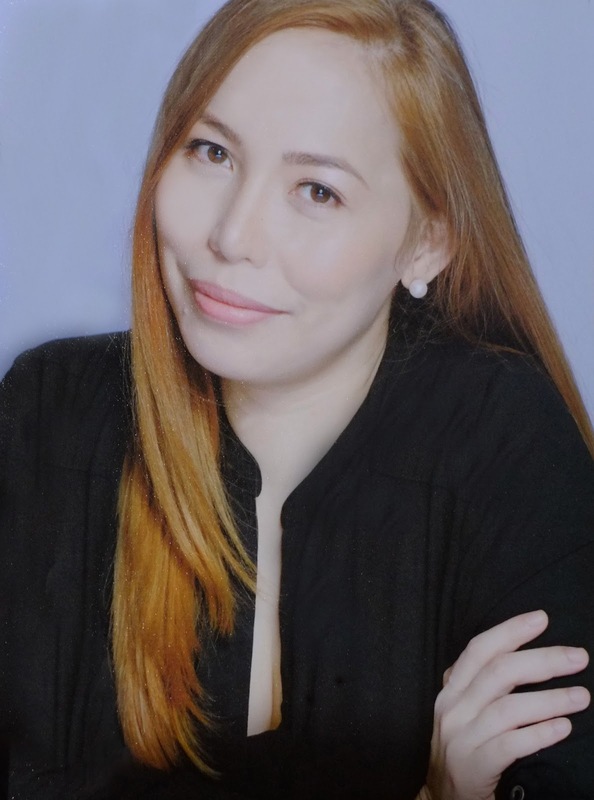 I prefer SWAP DIY because it's more personalize and can customized it with the style I want. i like choose SWAP DIY because its simple and unique. 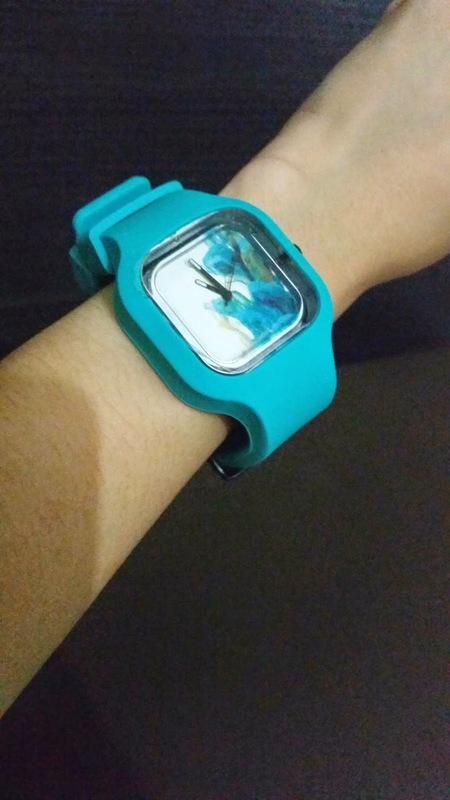 I like the swap DIY so that I can have a watch that has my own design! A pusheen cat! I wanna try DIY coz I want something unique. Hope to win!! wow i like it hope to win! I wanna try swap DIY! i would like to try the designs of swap DIY. the designs are awesome!! !